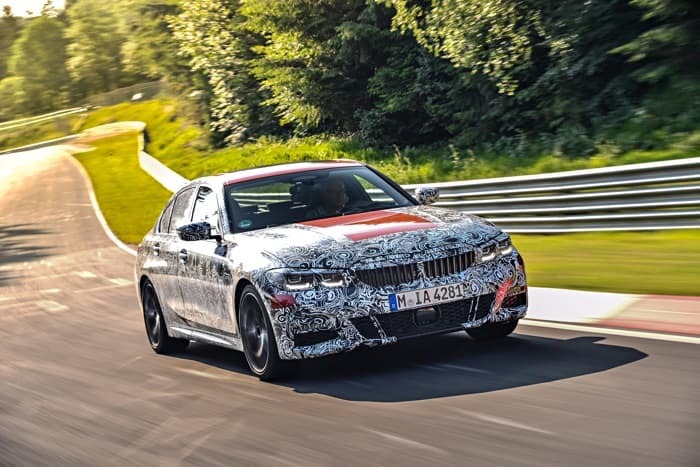 The new BMW 3 Series will be made official at the Paris Motor Show in September and BMW has been endurance testing the car ahead of its launch. 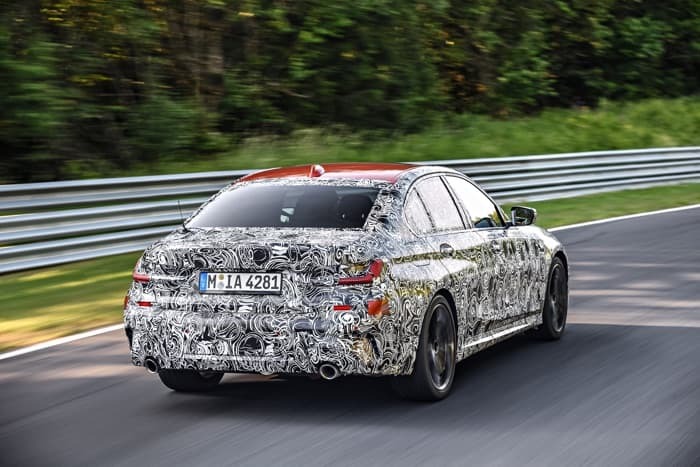 The picture above shows a heavily camouflaged version of the new 3 Series, the car will come with a range of engine options. The next generation of the BMW 3 Series Limousine is just completing the crucial stages on the way to serial production maturity. There was only one possible setting when it came to driving dynamics testing and set-up runs: the legendary Nordschleife at Nürburgring. Test runs at the “Green Hell” traditionally serve as an endurance test for the drive and suspension technology of newly developed BMW models. A particularly extensive testing programme was developed for the camouflaged prototypes of the new BMW 3 Sedan. After all, the comprehensive renewal of the wheel suspension, steering, damping/suspension and brakes provided the developers with a broad range of opportunities to optimise ride comfort and dynamic performance, enabling the ultimate sports sedan for the mid-range premium segment to mature lap by lap. You can find out more details about the new BMW 3 Series over at BMW at the link below, as soon as we get some more details about this new sedan we will let you guys know.